Slow As The South: Vacation Recap - A Suprise Week in Orlando -- Best Places to Stay and Eat! 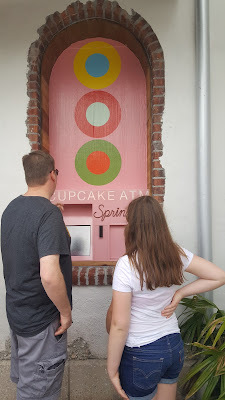 Vacation Recap - A Suprise Week in Orlando -- Best Places to Stay and Eat! 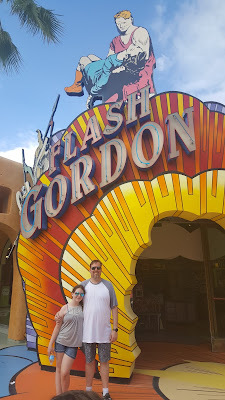 When my husband and I realized that we had a whole week left of vacation each to use up by the end of May (or else we lost it), we decided we would try to fit in a second family vacation this year. We have an upcoming trip to Costa Rica that we have been planning for awhile so we wanted to do something within the US that we could make more cost effective. 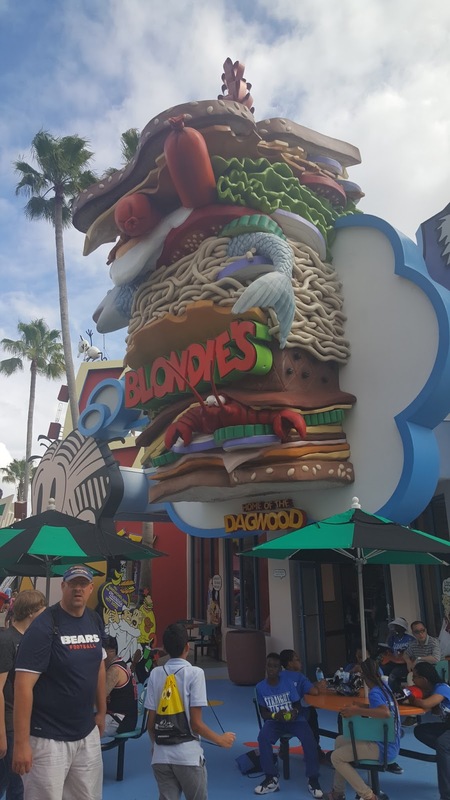 A trip to Orlando, FL hasn't really been a cheap vacation for us in the past. 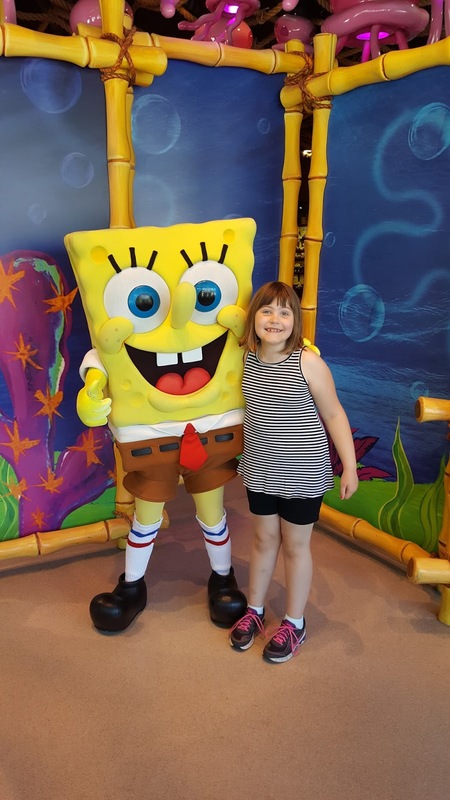 Of course, our past trips have centered around Disney World and we had decided that we wanted to spend the week getting to explore some of the other things in Orlando. I managed to get nearly free airfare on Southwest when we traded in credit card points for miles earning us free tickets. My girls are at the age that they love all things Harry Potter. My youngest has been reading the books and doing audio books for awhile now. I personally never really got into it and I'm not sure why other than I saw the movie and haven't read the books and the first movie wasn't that impressive to me... I'm probably in the minority, I know. 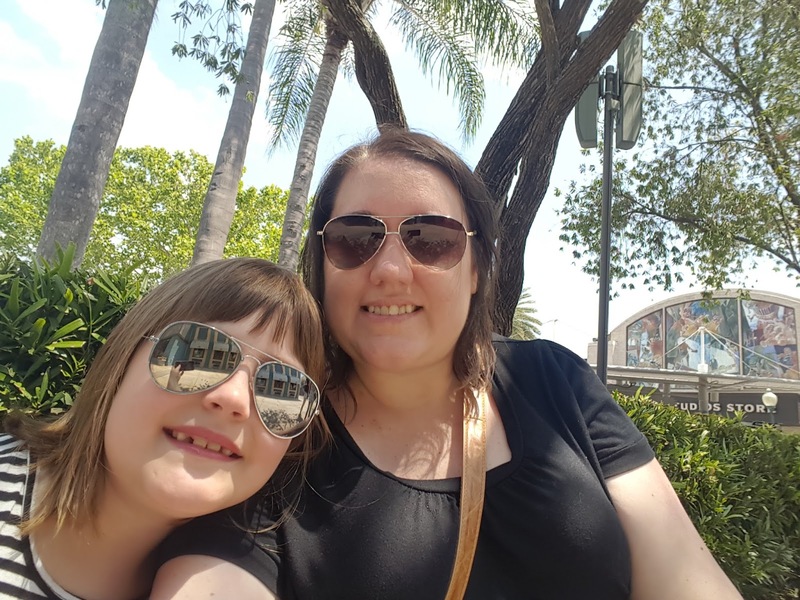 We decided that Universal Studios would be our destination this time with plenty of time dedicated to the Wizarding World of Harry Potter. We also decided not to tell them we were going to Orlando for the week. 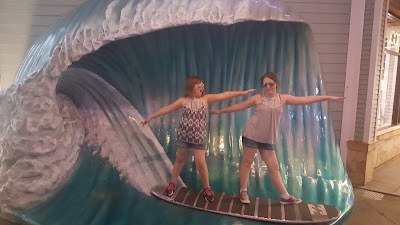 We decided to tell them we were going to visit my sister's family in KC for a week (since they just got a swimming pool and we wanted to try it out). They were truly confused when we drove to the airport instead of hitting the turnpike. My gullible girls lasted all the way to Orlando still without figuring out the surprise. Would you believe they actually thought we were flying to Kansas City from Wichita? Of course, as time wore on, they knew something was up but not what. Thank goodness for mobile technology. Because their heads were wrapped up in their phones and tablets, they didn't notice the signs or announcements at the airports. We arrived in Orlando late on a Monday evening. We headed straight to our condo-hotel to get some sleep. 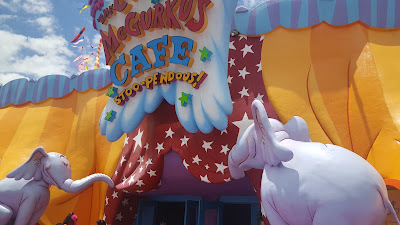 I'd mention the place we stayed but it wasn't my favorite in Orlando. 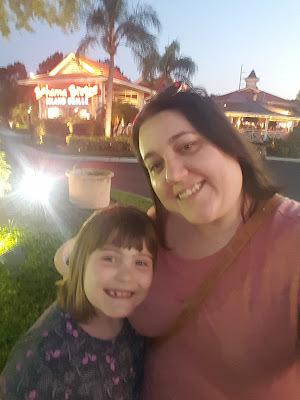 We have stayed at Floridays, Caribe Royale, and Disney Swan & Dolphin in the past and those are all much better options and places I would recommend (especially Floridays if you are looking for a home away from home with a lot of space and amenities). Tuesday we got up and decided to do some exploring. It was two years ago the same week that we were in Orlando going to Star Wars week at Disney and a lot can change in that city in that amount of time. We hit an outlet mall for a little bit, stocked our fridge with some snacks, did some swimming in the pool. We had some dinner at Bahama Breeze. I am typically not one for chain restaurants but Bahama Breeze is an exception. We go there every time we are in town and have never been disappointed. 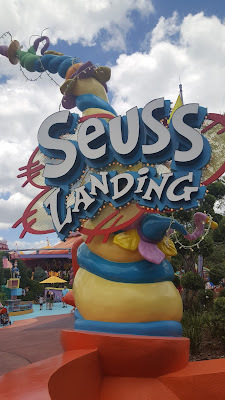 We also spent a good amount of time exploring Disney Springs (formerly Downtown Disney) and it has really changed since our last trip. We were able to get some Japanese food for lunch from Morimoto Asia. Also, do you see that pink box above, that is a Cupcake ATM by Sprinkles Bakery. Wednesday morning we got up and headed to Universal Studios. 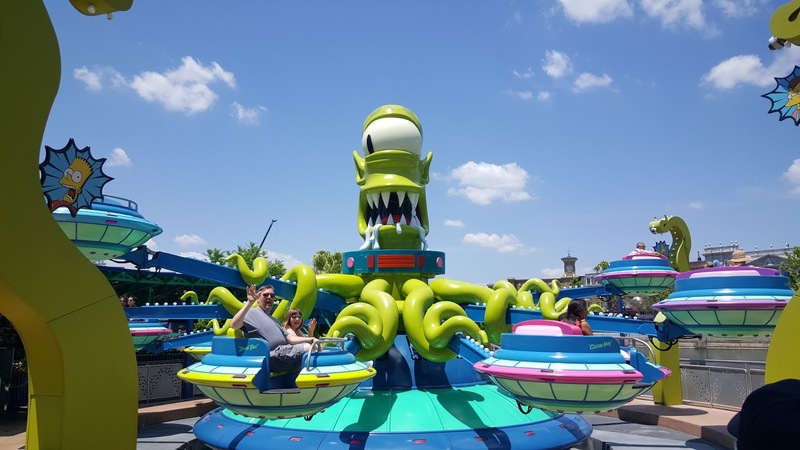 Right now Universal is running a special, buy a two-day pass (two-parks) and get the third day free. We decided to go to the older park first although not much was the same since I was last there, maybe 15 years ago. We were actually a little disappointed because Jaws, Backdraft, Twister, and Earthquake are all gone now. Of course, they made room for some pretty neat things including the Simpson's Springfield Area and Harry Potter World. I admit, the Simpson's area was my favorite. 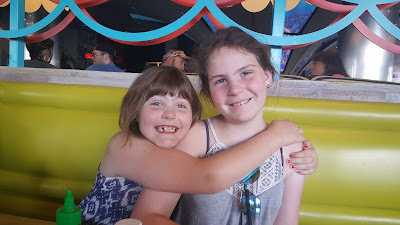 We had lunch at Krusty Burger and it was actually pretty good. The ET ride is still there so we managed to get that in. Their is an are dedicated to Sponge Bob Square Pants which was pretty cute. 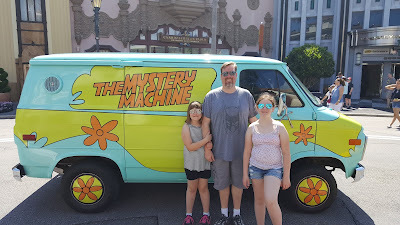 The girls really liked the Men in Black ride. We did the Terminator 3D ride which was neat but kind of dated now. We then hit Diagon Alley in Harry Potter World. Even for someone who isn't a huge fan, I'll admit it was really neat. We got our ButterBeer and walked around exploring. 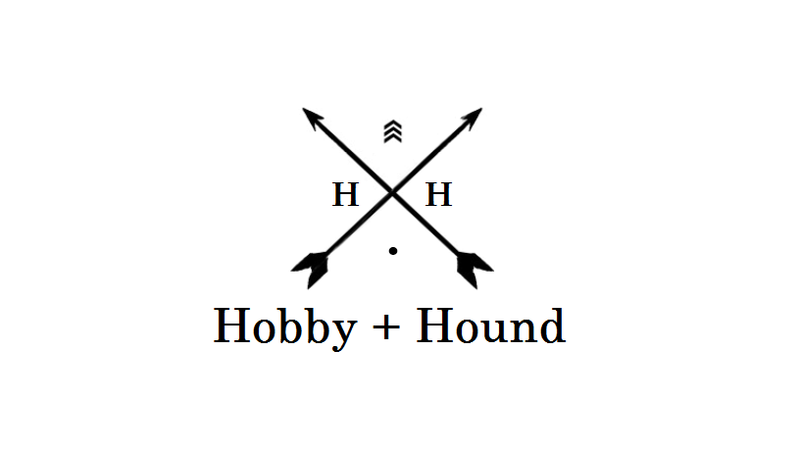 So many cool things to check out at different shops. A lot of the shops were facades though and I kept thinking they could do so much more with the space. We ended the day with riding the Rock It Roller Coaster (not me, I personally hate roller coasters) as my husband and oldest love them. 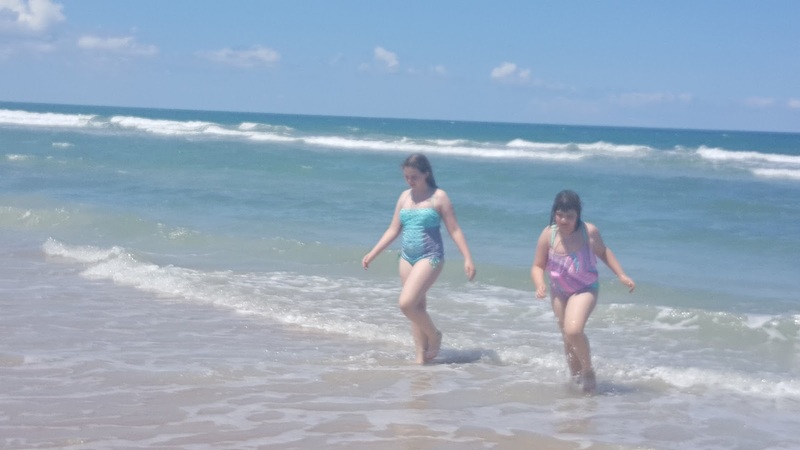 Thursday we decided to make our beach day. We drove up to Daytona Beach for lunch (fresh seafood!) and swimming. I got a little sunburn on the back of my neck watching the girls swim. The girls did more swimming at the pool later and we called this our relaxed day. 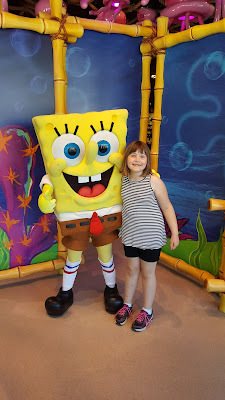 Friday we headed back to Universal but headed to Island's of Adventure this time. We stopped in at a burger-sushi fusion restaurant called The CowFish at Universal's City Walk. I had never heard of it before but it was really great. By far one of our best dining experiences this time. They have a huge menu you can check out here. 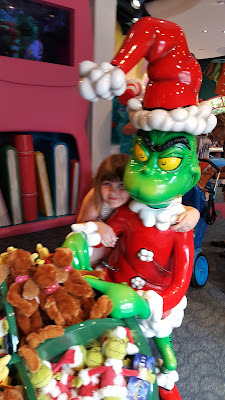 We headed towards the Dr. Seuss area first and the girls did quite a few rides there. 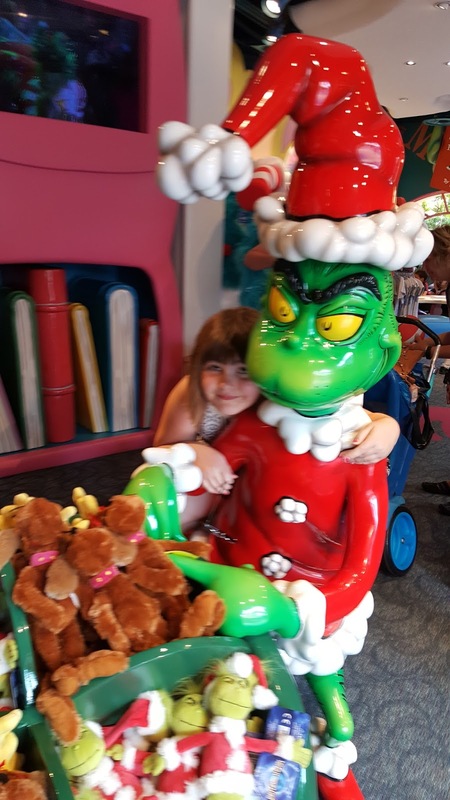 It is definitely aimed at younger kids but my girls didn't care, we all love Dr. Seuss. 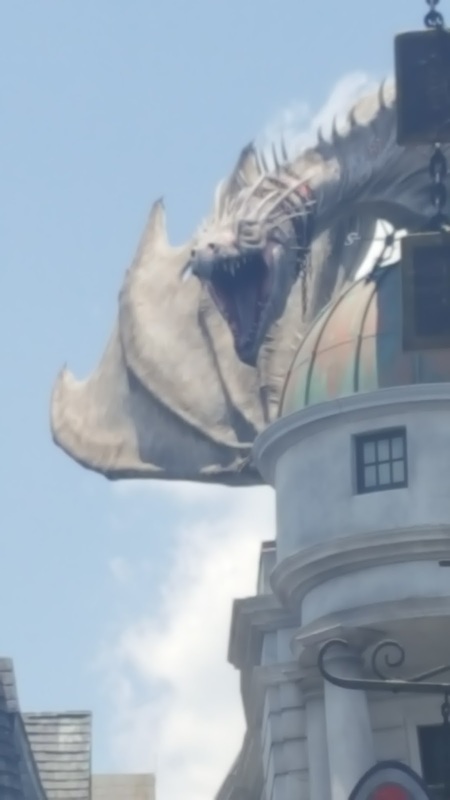 After that we headed towards the Harry Potter side at Islands of Adventure. There was more roller coaster riding (husband and kids) and ButterBeer drinking (me). We then headed to the comic area which was really pretty neat. 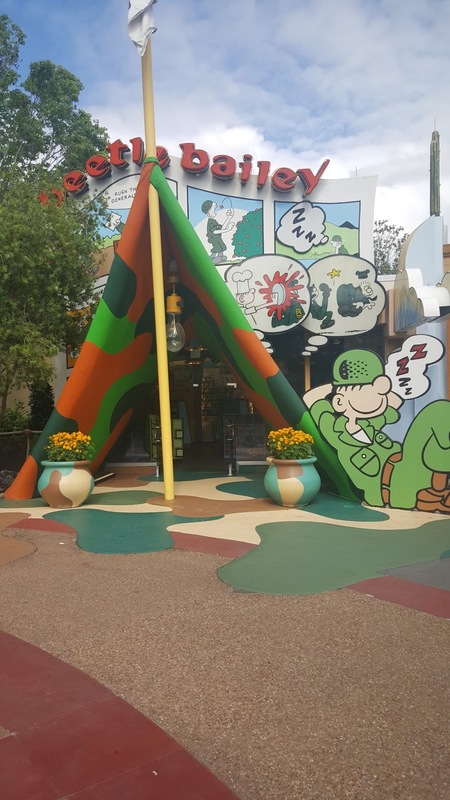 Lots of places themed after old school comic strips like Blondie, Beetle Bailey and Hagar the Horrible. We then found the Marvel area with all the stuff that my husband loves and more rides to check out there. 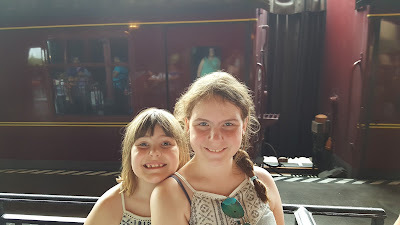 We then took Hogsmeade (the train) from Island's of Adventure back to Universal Studios so we could cover more things we missed over there. We stayed until closing. Saturday was our Megacon day which I covered separately. Sunday was another slow day with less walking. We had thought we would go back to Universal for our third day but after walking at Megacon our feet were worn out. We did some light shopping and exploring. We did discover a great Latin restaurant called Sofrito Latin Cafe which I wish I would have discovered earlier in the trip. Very authentic and not too pricey. Monday we headed back to Wichita on an early flight.